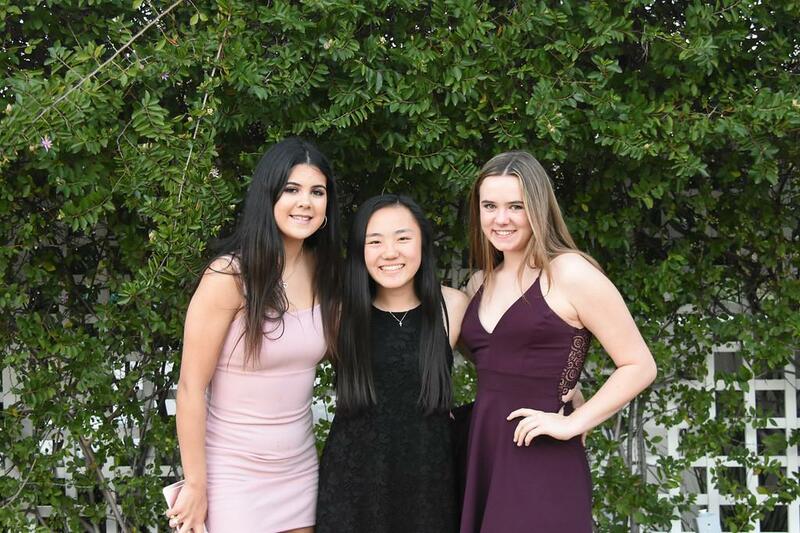 Coach Willis, Coach Simons and Coach Klotz listed team accomplishments, star performers received awards, and the seniors offered heartfelt farewells as the Lady Spartans capped their 2018-19 season with a banquet Tuesday evening at the Anaheim Hills Golf Course. Team captains Jacqueline Navarro and Megan Roach thanked their coaches and teammates in their goodbye speeches, as did fellow seniors Natalie Pham, Nayeli Gonzalez and Tiffany Le. Coaches and players had a lot to be proud of. In the fall Varsity won the Whitney Tournament championship. Varsity also made the CIF playoffs for the third straight year after Villa Park went five years without a postseason appearance. The girls won 14 games including a tiebreaker victory against Yorba Linda that secured the playoff spot. JV posted an 15-11 overall record and repeated as league champions. "Success starts with friendship, cooperation and enthusiasm. Self-control, the right intentions and the drive to do what is right promote success in a team concept. Having confidence in what you do and maintaining faith and patience are the last steps to becoming a great team. Follow these steps and you will become the best person, capable of success in your life." By doing business with Ben’s Asphalt, you will have the opportunity to work with the most knowledgeable, experienced and professional team from start to finish. Need more traffic, more leads and more customers? InTouch can help! We look at your current marketing and business goals to determine the right approach to make you successful. Whether you require a contractor for a Long Beach kitchen remodel, a room addition in Orange County or a custom built home, we offer quality services to meet your needs.